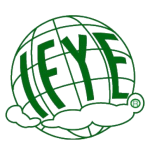 After World War II, in 1947 the IFYE program was started as a means to rebuild personal relations between youth from the USA and countries all over the world. Funding was initially provided through the Marshal plan. Some of the participating countries developed exchange programmes with other countries, while in other countries the exchange never evolved beyond the bilateral exchange with the USA. 4H organized the exchange in the USA. 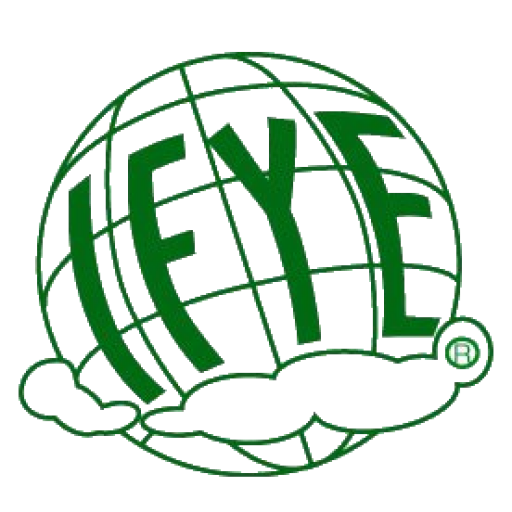 In the countries that had 4H organizations, the exchange was known as International 4H Youth Exchange (IFYE). Other countries preferred the term International Farm Youth Exchange (IFYE). As the world entered the cold war, the IFYE program was closed successively in some countries as a form of sanction. The last of the Soviet Block countries to operate a program with the USA was Poland, where the last exchangee from the USA left in 1980. Although conditions in participating countries have been different, there has been a tendency of government involvement and financing drying up. The first meeting of European IFYEs started on the initiative of Pieter Dijkhuis (NL) who invited several fellow IFYEs to the World Exhibition in Brussels. 15 IFYEs representing seven European countries and including two representative from the USA came to the first meeting. At this first meeting it was decided to meet again next year in a different country, and keep moving on to another country after that. The participants agreed that the costs should be kept as low as possible. It was agreed that IFYE conferences should take place after the arrival of the American delegates, and before school started in autumn. It was decided that hay-making and harvesting times would have to be ignored as such activities take place throughout Europe at all times during summer. The Exchange between USA and it’s friends and, former foes alike, soon spread, and adopted a variety of forms. The exchange in various European countries was handled by a diversity of agencies, organizations, Young Farmers Cubs or 4H, that were the national organizers. On their part these Rural Youth organizations formed their own European structure, the European Committee of Young Farmers and 4H clubs (ECYF4HC). In 1963 the Committee agreed on guidelines for European IFYE exchange. The current wording of the agreement is reproduced here. Initially the European IFYE Alumni Association was a forum for Europeans who had returned from their exchange in the USA. In fact, in 1963, it was decided that the Association was only for those that had been in the exchange program with the USA for a long period of time. In 1964 ten European countries participated in inter-European exchange. By 1967 it was noted that the exchange with the USA was decreasing, while inter European exchange was rapidly growing. A speaker at the Assembly urged that more IFYEs must be encouraged to come to the conferences, otherwise in a few years there will be no IFYE meetings. In 1968 it was suggested that even those who had not been on exchange in the USA could become members. After only a few years of working, the conference organizers realized that keeping contact with all IFYEs was quite a challenge. In some countries the IFYEs had formed national networks and had regular meetings. The idea of establishing Contact Members was launched at the 1962 meeting. The first World Conference was organized in Switzerland in 1965. This proved to be an inspiration to form national IFYE committees in several European countries. In 1966 at the conference in Finland it was discussed what could be done to start exchange with Eastern Europe and the developing countries of the south. It was not until the late eighties that those dreams started bearing fruit. The first programs that involved Eastern European countries took place in 1992 between Finland and Estonia and Luxembourg and Estonia. These programs were followed by programs involving Latvia, Poland, the Czech Republic and Hungary in 1993 and 1994. Earlier Poland and former Czechoslovakia had been involved in the program.